We would like to thank and acknowledge our wonderful family of sponsors, partners and suppliers. We extend our sincere appreciation to them for their commitment to our sport because, without these organisations, our sport, events and organisation would not be possible. This website has only been made possible thanks to the generous support of Sport New Zealand. They are a major funding partner supporting the growth and development of sport in the community, in New Zealand; More People, More Active, More Often. There are many useful documents and guides on their website to assist community sports, check them out here. High Performance Sport New Zealand is the key investor into the NZ National Elite Team to ensure they win medals on the world stage. Find out more info here. Suzuki has been the Official Vehicle Supplier for Triathlon New Zealand for nine years. They support the High Performance Programme to ensure they can focus on going faster and win medals. Suzuki has a vehicle that will suit your sporting needs; big or small. Find out more here. 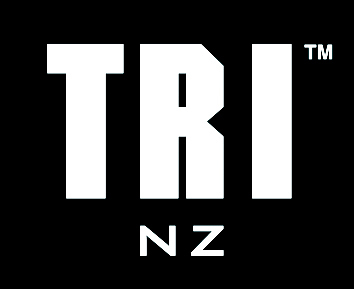 2XU is the Official apparel supplier for Triathlon New Zealand. They develop unique race Suits and apparel for High Performance and Age Group athletes, with stunning sports options and casual wear for all our members. View their range here. ASICS is the Official footwear partner for Triathlon New Zealand. They work alongside High Performance Coaches to provide expert advice and education to Triathletes (Juniors through to Elite) about the right footwear to suit their individual needs. Experts in shoes to suit all feet and distances – view their collection here. HOT Events is Triathlon New Zealand’s preferred travel partner. HOT Events put together sizzling packages for our Age Group Athletes travelling around the world to represent NZ and ensure our HP athletes have all their travel needs taken care of. Specialists in sports group travel packages, find out more here. Cube are leaders in creative print, design and signage who recognise the need to go the extra mile. In the past, they’ve produced all our stunning event signage, promo material and provided eye-popping branding for our vehicles. These guys know how to think outside the box to bring signage to life to producing business cards and standard print. View more of their work here. Bartercard provides opportunities for Triathlon New Zealand and other key sports to benefit from working with their 7000 members. If you’re a business owner, find out how Bartercard can improve your sales here. Training Peaks provides our High Performance team and coaches with the software needed to help analyse performance and put plans in place to improve training schedules and results from beginners to elite. Learn more about their systems here. PURE are suppliers of electrolyte hydration and sports nutrition products to our events. They supply the premium sports drink at drink stations and finish lines for all our athletes and the feedback has been fantastic. PURE use only the best New Zealand and Australian fruit so you get a premium sports drink with no artificial flavours or colours. View more about their products here. AON Insurance are Triathlon New Zealand’s appointed insurance brokers helping to provide cost effective and comprehensive insurance offerings to our HP and Age Group Athletes. Learn more about their services here. Sanitarium are our strategic partner delivering the Weetbix TRYathlon Series to over 24,000 kiwi kids and ensuring our youth get a taste of our wonderful sport from the age of seven. Learn more about this exciting event here.